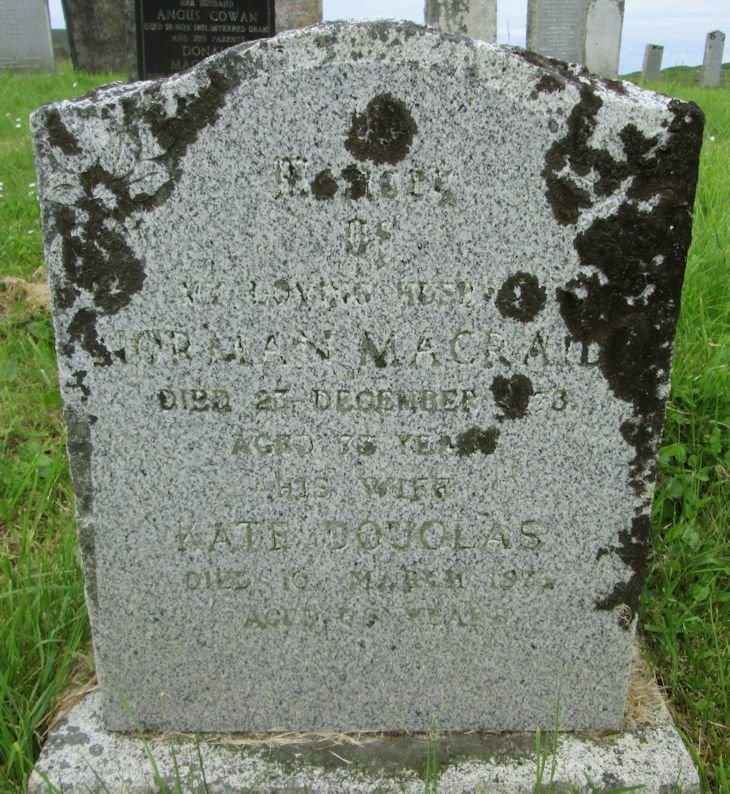 Skye Gravestones | Norman & Kate (Douglas) Macraild. Norman & Kate (Douglas) Macraild. In/memory/of/my loving husband/NORMAN MACRAILD/died 23 December 1938/aged 73 years/his wife/KATE DOUGLAS/died 16 March 1975/aged 68 years.